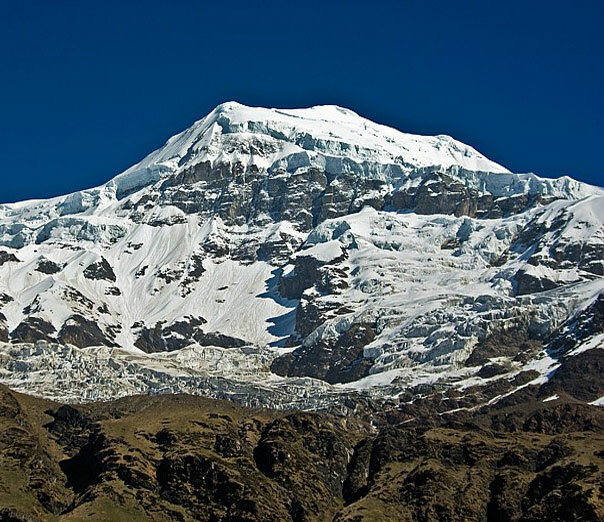 Sunderdhunga Glacier (3206mts and upwards): Sunderdhunga means the valley of beautiful stones. The valley is situated to the west of PINDARI valley and has two glaciers: Maktoli and Sukhram, and the main peaks are Tharkot(6100mts. ), Mrigthuni(6856mts. ), Mailktoli(6804mts.) and Pawalidwar (6663mts.). 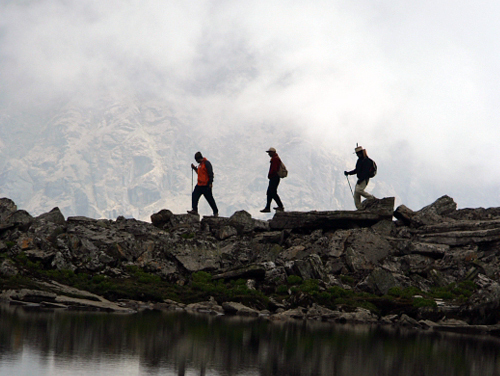 The route to Sunderdhunga is the same upto Khati as is the trek to Pindari and Kafni. Includes accommodation in Rest Houses/ Tents, Vegetarian food, Transport from Bageshwar to Saung and from Saung to Bageshwar and Guide. NOTE: On arrival of the first day trekkers will be only given evening tea, dinner and accommodation. Transport from Bageshwar to Saung and back to Bageshwar from Saung will be provided by Nigam. Rs.6,050+ 2.58% Service Tax Per Person. If you have not decided yet or wants to customize tour itinerary or hotels listed above in "9 Nights Trekking Package to Sunderdunga Glacier from KMVN Rs.6050/-", then we can change the travel itinerary and make a personalized, tailor-made holiday package, especially for you. We can modify this travel package as per your itinerary, budget, duration and the tourist places you would like to visit, including transportation and airfare should be included or not. Please fill the form below to contact us. I am planing for this trekking in June 1st week 2011. 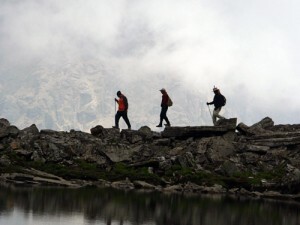 Please Help me to book this, KMVN Trekking Package to Sunderdunga Glacier. Please send me Itinerary and tariff for (single person) in the first week of June 2011. I would like to trek Sundardunga . Is there any programme in the month of November -Devember ?